Scholarly examinations of speculative fiction have been a burgeoning academic field for more than twenty-five years, but there has been a distinct lack of attention to how attending to nonhegemonic positionalities transforms our understanding of the speculative. New Suns: Race, Gender, and Sexuality in the Speculative addresses this oversight and promotes scholarship at the intersections of race, gender, sexuality, and the speculative, engaging interdisciplinary fields of research across literary, film, and cultural studies that examine multiple pasts, presents, and futures. Of particular interest are studies that offer new avenues into thinking about popular genre fictions and fan communities, including but not limited to the study of Afrofuturism, comics, ethnogothicism, ethnosurrealism, fantasy, film, futurity studies, gaming, horror, literature, science fiction, and visual studies. New Suns particularly encourages submissions that are written in a clear, accessible style that will be read both by scholars in the field as well as by nonspecialists. Book proposals can be submitted to the series editors, Susana M. Morris, Kinitra D. Brooks, or to the OSU Press acquisitions editor, Ana Jimenez-Moreno. Susana M. Morris is Associate Professor of African American literature and Director of Core Literature at Auburn University. 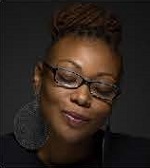 She is author of Close Kin and Distant Relatives: The Paradox of Respectability in Black Women’s Literature (2014). She is also a founding member of and contributing writer for the popular feminist blog, The Crunk Feminist Collective. 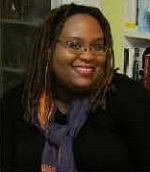 Kinitra D. Brooks is Assistant Professor of African American and Afro-Caribbean literature at University of Texas in San Antonio. Her book, Searching for Sycorax: Black Women Haunting Contemporary Horror, is forthcoming from Rutgers University Press. Frederick Aldama is Arts and Humanities Distinguished Professor of English, Spanish & Portuguese at The Ohio State University and author of Your Brain on Latino Comics: From Gus Arriola to Los Bros Hernandez. Reynaldo Anderson is Associate Professor of Communications at Harris-Stowe State University and co-editor of Afrofuturism 2.0: The Rise of Astro-Blackness. Ramzi Fawaz is Assistant Professor of English at University of Wisconsin-Madison and author of The New Mutants: Superheroes and the Radical Imagination of American Comics. Frances Gateward is Associate Professor of Cinema and Television Arts at California State University, Northridge. She is the editor of Seoul Searching: Cultural Identity and Cinema in South Korea. John Jennings is Associate Professor of Art and Visual Studies at the University at Buffalo–State University of New York. He is coauthor of Black Comix: African American Independent Comics Art and Culture. TherÍ Pickens is Associate Professor of English at Bates College and the author of New Body Politics: Narrating Arab and Black Identity in the Contemporary United States. Gwendolyn Pough is Associate Professor of Women’s and Gender Studies at Syracuse University and author of Check It While I Wreck It: Black Womanhood, Hip Hop Culture, and the Public Sphere. Stacey Robinson is an Arthur Schomburg fellow who recently directed “Unveiling Vision: the Alchemy of the Black Imagination” for the Schomburg Center for Research in Black Culture in Harlem, NY. He is part of the collaborative artistic team “Black Kirby” with John Jennings.